SEALING THE DEAL: Establishing impactful new partnerships is just one of the many ways telecomms giants Digicel continues to widen its reach across the Caribbean, most recently joining forces with Health City Cayman Islands (HCCI) as their official communications partner. HCCI is the debut Caribbean venture of the Narayana Health Group, a network of almost 28 hospitals across India being overseen by world-famous cardiologist Dr. Devi Shetty. Prior to the partnership becoming official, Digicel's reps spent time working with the team in Cayman, which apparently yielded the ideal results. "There are two things that appealed to us about Digicel," explains project director Gene Thompson (third left). "The first was the bespoke ICT solutions that it was able to develop and deliver to meet our slightly more business requirements. The second was the idea taht we would only ever have to deal with one provider for our fixed line voice to mobile solutions." WOMAN IN CHARGE: You can say this for Carole Beckford: she's got quite a resume. 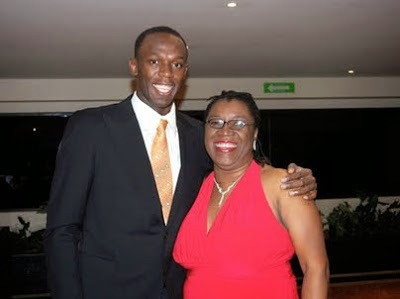 In her time, Beckford has notably served as President of the Jamaica Volleyball Association, publicist for the World's Fastest Human in history (pictured above), broadcaster and media consultant and lead principal of Carole Beckford and Associates, which puts on the Business of Sport conference each May. Add to the list her latest accomplishment - being appointed Jamaica's film commissioner (succeeding the dynamic Kim-Marie Spence), a plum job that ranks highly under the Jampro umbrella. 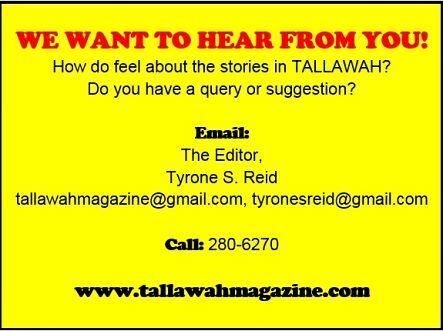 An impeccable source tells TALLAWAH Beckford has been in the post for a little over two months now. We got out first glimpse of her in her new role at Friday's Jampro-hosted Anime Business Lecture, where she ably moderated the proceedings, which form part of Anime Nation 2014. The main highlight was an informative and insightful Q-and-A session with guest of honour, the Japanese animation maestro Professor Masima Suda, who communicated through a young female translator, dressed in an eye-catching traditional Japanese kimono. For her part, Beckford proved a delightful hostess, cracking jokes intermittently and holding her own in a room full of predominantly young male animators and illustrators hailing from across the corporate are and elsewhere. Given her fascinating trajectory, we couldn't help but wonder what could possibly be next for Beckford: a run for Member of Parliament? Mayor Kingston? Why not?